ChiroThin is a natural dietary supplement. Its formula, developed by ChiroNutraceutical, contains a host of nutritional ingredients that are well known to aid in fatty acid transportation, fatty acid metabolism, and blood sugar stabilization, as well as increase metabolism and detoxification. When ChiroThin is combined with healthy and specific amounts of anti-inflammatory foods with a low glycemic index, your body will be more efficient at converting stored fat into energy. In general, ChiroThin allows the body to more efficiently metabolize fat and use it as energy when an individual consumes fewer calories than he or she burns in a given period of time. ChiroNutraceutical has specially designed the ChiroThin formula to include specific amounts of amino acids, vitamins, and cell salts for further added benefits. Additionally, the ChiroThin Weight Loss Program includes dietary and behavioral modification guidance, as well as a strategy to help maintain a long-term weight loss. Everyone knows that there is no such thing as a "magic bullet" or "magical drops" for long term weight loss! 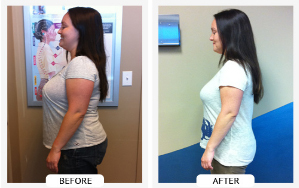 Because of this, ChiroNutraceutical’s position has always been that long term weight loss needs a 4-fold approach. The Doctor Supervised ChiroThin Weight Loss Program is based on sound healthcare principals and cutting edge research that have proven the benefits of doctor supervised very low calorie diet (VLCD’s), micro-fasting, behavioral modification, nutritional support and when appropriate, exercise. The original concepts for the VLCD were based on Dr. Simeons’ "Pounds and Inches - A New Approach to Obesity". However, as we all know science and research has advanced over the last 70 years. Because of these advancements and our proprietary nutritional support formulas (the ChiroThin formula and AGGR), the ChiroThin program allows for a less restrictive version of the traditional VLCD. The Doctor Supervised ChiroThin Weight Loss Program utilizes the ChiroThin Nutritional Support Formula. It is a natural dietary supplement that contains a host of nutritional ingredients that are well known to aid in fatty acid transportation, fatty acid metabolism, blood sugar stabilization, increased metabolism, hunger/craving suppression, and detoxification. When combined with a healthy and specific ratios and blends of low glycemic index, anti-inflammatory foods, your body will be more efficient at converting stored fat into energy. In general, ChiroThin allows the body to more efficiently metabolize fat and uses it as energy when an individual consumes less calories than they burn in a given period of time. ChiroNutraceutical has specifically designed the ChiroThin formula to include specific amounts of amino acids, vitamins and cell salts for additional added benefit. In order to maintain the highest ingredient and manufacturing standards, all of ChiroNutraceutical's products use only 100% United States derived, harvested, and combined ingredients. Our manufacturing facility, which is located in the western United States, is FDA certified. This means that with ChiroNutraceutical, routine inspections by the FDA ensure compliance with current Good Manufacturing Practices (cGMPs) and the Code of Federal Regulations (CFRs) for your safety. Unlike many nutritional companies, ChiroNutraceutical holds its own individual FDA Establishment Number. What sets ChiroNutraceutical's products apart from the rest?